How to use Select2 in WordPress. AJAX example. A couple days ago I added to my plugin some types of inputs that allow to multiple select posts and categories. But what if you have thousands of posts? The dropdown AJAX search is also supported. And now I want to share with you how to do it. Maybe you know, that the most of the code in my posts are ready to use, all you need is just follow the instruction and paste the code to the recommended place. Step 1. Create a Metabox. Simple Way. Below is the ready to use code for creating a metabox with two select fields. We will use those selects in next steps. The code can be placed to your theme functions.php or into your custom plugin as an option. As the result you should got this simple working metabox. Two selects – the first one will be used just as a multiple selection, to the second one we will add the AJAX post search. Step 2. Select2 Scripts and Styles – what files to choose? By the way – I didn’t use the default CSS and copied the styles from WooCommerce (yes, Woo also uses select2 library). Nothing new or especial for you here as well – just a WP_Query loop and WordPress AJAX. Do not know where to insert this code? To functions.php then. Multiple tags and posts selection and the ability to perform the AJAX search for WordPress posts. If you have any questions, I will be happy to help you in comments below. Thanks for Superb work and ready to use. How echo Select2 posts as a link on single.php? Hi Misha. On the first screen I see differentpost types – video, quote, etc. How can I add them to my WordPress instance? Thank you. You can add more post-formats according to your needs. NOTE: You will need to create several PHP files(one by each post format) in order to get the post formats work. Not to forget that you will need to use the get_template_part(”) WordPress function. What changing required, if i need to add posts from other CPT. To add metabox for CPT Apple, you have to change custom post type name in Step 1 on lines 9 and 64. If you want to show posts in dropdown search from CPT orange, in Step 4 in WP_Query add one more parameter post_type. I am using this query on single.php and trying to show all post here, where meta box has this post. How to get those posts where meta box have this post or link? Sorry to say that it have same problem. This show all the post which added to meta box in different posts. Not show the specific one relate to open post. What is in your $post_id variable? Check if it is correct. Did you check it? Is it correct and not empty? Yes i check again and again, its correct and not empty. This query print out all the post which i add to meta box. But need to print related to current open post. Show me the content of $posts variable which you use for post__in parameter of WP_Query. Ok.. Language barrier.. I see. You provide me this $args above. Thank you for this excellent information no how-to use select2 ajax with WordPress. I adapted it for use on some huge front-end dropdowns I was using, and it is working superbly. The site users are ecstatic because the site is so much faster with ajax for these long selects. Thanks again! I would love to integrate the seat chart like this: https://github.com/mateuszmarkowski/jQuery-Seat-Charts to WooCommerce so that I could sell seats online. Could you feel free to guide me how to do that? Grand work. But I have a question: I’m trying to use select2 in the frontend and it does not work. I added nopriv to register the ajax url and I get to run the js but it looks like it is not firing the action “mishagetposts”. Did you include jQuery? What is in your browser console? Yes, ajaxurl is defined only in admin area, so you made everything correctly when include the full URL. But as an option you can define the variable yourself, good practice is to use wp_localize_script() function, example is in this post. You’re absolutely right, I forgot to register the url. Thanks anyway and thanks for sharing documentation. thanks for the great solution! works like a charm! I wonder if it’s possible to also add the possibility to add new tags and not only choose from existing tags? No 🙃 but the idea is interesting. Anyway; If you may sometime include it, please let me know. Sorry, I just didn’t understand you. It is possible if you use AJAX method (example with posts). Good news – you do not need to change anything in your JS code. In save_post action hook add code that checks uniqueid and if it matches, it creates new element in database, for posts you can use wp_insert_post(), for post tags wp_insert_term(). Thanks so much for sharing this code with the world. I followed your instructions however I am not able to get the title of the new post inside the save_post action hook (only the id). How can I make the content of $_GET[‘q’] available to save_post. Again thanks a lot for sharing. Did you try to replace "uniqueid" with the post title? Hello Misha, Another nice code. 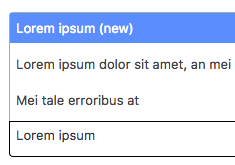 How can I make the tag dropdown Ajax also? I have more that 5000 tags on a wordpress installation. All the information is in this article 🙃 making tags dropdown is very similar to posts dropdown. I see you are saving the terms in post meta. but isn’t it proper to set post terms? How can I do that? Because terms need relationship with taxonomy. But in you example terms are saving as post meta not creating relationship with taxonomy (post_tag). How can I do that? I spent the entire day trying to convert your ideas to search for users, but I can’t seem to find the issue with my code. Do you mean it doesn’t search for users? Check search_columns parameter. I duplicated your metabox to have two of them (I need to display two different CPT links). I am now having problems with the second WP_Query as I am not able to reset the first WP_Query (So I am always getting the posts from the first WP_Query). Whats the correct way to handle it with your code? Didn’t you forget about wp_reset_postdata() function? We are using select2 on a wordpress site. It is working fine, but it doesn’t display the data after saving or updating the post. I guess we should include some code in the admin init hook? I´m not sure, that is my guess.. I will really appreciate any suggestions/guidelines on how to proceed. Just one additional comment I just realized. When I say that the data is not being displayed, I mean on the admin select metabox. so, on the website everything displays ok, right? I used it to add admin option input fields with post selection. It does the encoding, echo and die for you. Can you please help create a similar tutorial to add select2 to Contact Form 7 (CF7) on a website which also runs Woocommerce? I am sure the code would be much simpler. I am learning to code and have found your articles very useful. I’m not sure, but I will think about it.